Frame of the week: Fun up your February with this handmade frame! We are an independent opticians located in the centre of Weybridge since 1992. As Optometrists with over 25 years of experience we are delighted to be able to share our passion about vision with you all. Ensuring that our patients are given the best service possible is our priority. Here at Henning & Henning we offer a friendly, personal service to all. Our screening using state-of-the-art optical equipment such as the OCT and MPOD, is another area that we believe can benefit our Patients. The advancement of technology has allowed extensive progress in all areas of eyecare. These advancements range from Spectacle frames , lenses and coatings through to contact lenses and dry eye management. 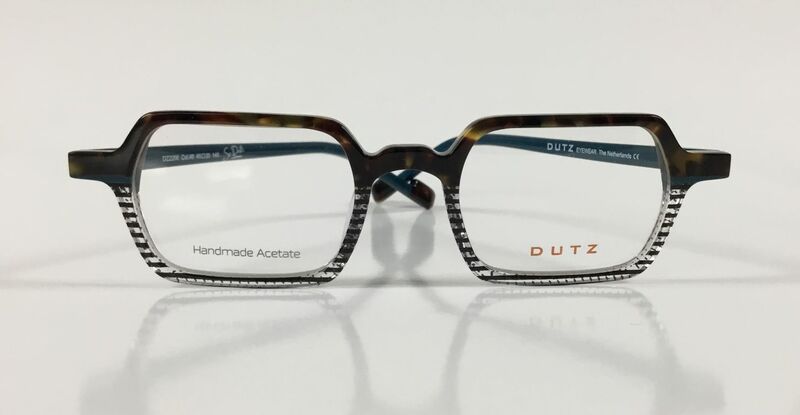 Our extensive range of spectacle frames encompasses collections that are fashion forward, ultra lightweight, petite, rimless, traditional, bespoke and designer. We offer eye tests, contact lens consultation and specialist services for persons of all ages. We are located on Church Street, in Weybridge town centre. The nearest parking is Churchfields car park, behind the library. Due to unforeseen circumstances, we shall be closing at 2pm today. We will be open as usual on Saturday 9th March at 9am. Look elegant this winter in this beautiful Silhouette frame. New research published in The Lancet Child & Adolescent Health has highlighted a link between enhanced mental performance and less than 2 hours of daily screen time. The US study reported on observations of a group of 4,500 children between the ages of 8 and 11. Alongside limited daily screen use, the children who met the physical exercise and sleep recommendations, also had improvements in their levels of cognition. The research flagged up that only 1 in 20 children in the study group met the full recommended guidelines on sleep, exercise, and screen time. On average, the children spent 3.6 hours each day on recreational screen time. Separate research from the University of Michigan highlighted a perceived connection between electronic device use and sleep deprivation. The study of 1,018 parents revealed that over 50% of those with sleep-deprived children blamed their child’s use of electronic devices and social media.